Cloud Computing Guide on PaaS For Developers is quite important as there are many PaaS providers those who provide good resource equivalent to IaaS by function. We have seen in previous articles that IaaS is the first layer of cloud, the lowest level in which the user is in charge of the whole operation of the Cloud Computing platform, having a complete control both in terms of configuration and management is PaaS. PaaS stands for Platform as a Service, which acts as an intermediate layer in between the types of cloud – IaaS and Saas, and it is sometimes called middleware and represents the next step and leans IaaS infrastructure. Cloud Computing PaaS is not limited to simply writing the code and final testing, which may often reduce to a simple act of copy / paste code taken from here and there or using plugins and / or reusable components. PaaS is characterized by a life cycle that, starting from a scouting phase of what is needed is at hand often for free, which arrives at the final product through the phases design, development, testing and maintenance to be very important. All these stages are characterized by a series of activities to be carried out that have need of specific software, in particular stages of development, testing and maintenance. When it comes to development environment and run-time, we mean just any necessary software which is properly configured to support the development itself and allow the application to run and ranging from the operating system, compilers, editors, software debugging, validation and testing profilig, application servers or different framework. In the light of this clarification, we understand how to prepare a development environment is anything but an activity of the second floor and that can take away some time, affect the development and above all has a cost. The idea behind the definition of this category of cloud (PaaS) is just to bring a benefit to this activity by reducing the costs, minimizing the preparation time and reducing the resources needed, as all as development can be confined within this “cloud layer” in which the provider provides a complete infrastructure that goes from the operating system environment to run and deploy applications. 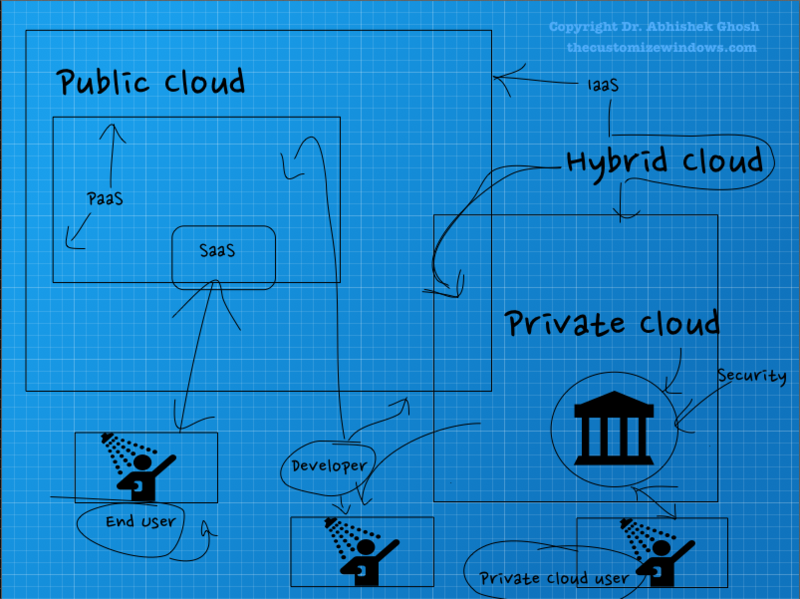 This Cloud Computing platform is seen as a service which exports the tools and APIs for the development of application and if one chooses a PaaS then more generally, there is not much need to worry about configuring the infrastructure, because buying a hardware or software solution to complete the development and deployment of their applications is costly, thus ignoring the aspects related to the organization of servers, storage, or network can be done with PaaS. However, definitely there are disadvantages too. There are over hundreds of examples on this website as guide. For example, if you search with Heroku Cloud or AppFog or Red Hat OpenShift on this website’s search field; you will get practically hundreds of guides, which will ultimately lead you to deploy your own application in your way. This Article Has Been Shared 5630 Times! DNS with Geographical Redundancy provides an infrastructure and supply the high reliability of web hosting services and email hosting through service providers. If you work as a IT service provider you need either to explain the benefits of cloud computing or decide to switch own business, some points to check before switching to Cloud. Cite this article as: Abhishek Ghosh, "Cloud Computing Guide : PaaS For Developers," in The Customize Windows, January 11, 2013, April 18, 2019, https://thecustomizewindows.com/2013/01/cloud-computing-guide-paas-for-developers/.